Latin America has proved itself as a star performer on the global pet care market, especially in the last decade. According to market research firm ‘Euromonitor International Data’, sales of pet food and pet care products has risen from 7,6 % in 2005 up to 10,2 % in 2010. In this review period value sales of pet food and pet care products rose from US$ 4,8 billion to US$ 8,3 billion. 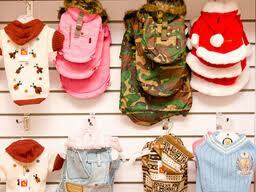 Today’s pet expenditures do not only include just food, clothes, toys and medication anymore. Modern street cats and security dogs have been discovered by the social middle class and are turned into upper-class aristocrats who visit pet-salons, training schools and pet boutiques. The animals wear the latest trends and let their nails being polished. In 2010 Argentina, Brazil, Chile, Colombia, Mexico and Venezuela counted a population of 155 million pets (116 mln/1999). 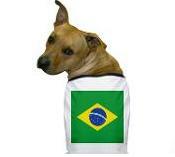 Brazil is leading with pet care value sales of US$ 5,2 billion in 2010, followed by Mexico (US$ 1 billion) and Argentina (US$ 645 million). The reason behind the growing popularity for pets and pet merchandise lies in Latin America’s social middle class. In the last decade this group has been facing important changes, such as an income growth of (in some countries more than) 30% in the period 2005-2010, with an annual disposable income of at least US$ 25.000,-. Nowadays people of all social classes can spend much more than before and it is the middle class that notices - more than the other groups - it has several options of how to spend this money. But also the composition of the new social middle class is important, in which the baby boomers dominate. They are at the peak of their earning years and have comparatively large discretionary incomes to spend. Next to the baby boomers there are the young families with small children. But the couples/singles without children is the subgroup that distinguishes itself and spends the most on pets. A third important aspect is the trend towards humanisation of pets ‘western’ style, including presentation, health/condition and psychology of the pet as if it were a child. All these aspects together explain why the social middle class is increasingly spending large amounts of money on their substitute children, the pets. Also healthcare centres for animals confirm this. According to Euromonitor the amounts spent on healthcare contain an increase of 71,6% over the review period, from US$ 69,4 million to US$ 119,1 million. Around 80% of the animals mentioned are dogs and about 15% are cats. Euromonitor predicts that Latin American pet care value sales will further grow about 5,5% over the 2010-2015 period, to US$ 10,9 billion (in 2010 prices), with a start of 6% in Latin America in 2011. Multinationals in the food sector are fast and respond to the developments in the Latin American market. Like Mars (Pedigree and Whiskas) or Nestlé Purina PetCare businesses, that employs approximately 9.850 people in the Americas, with approximately 6.900 in the U.S.A, 500 in Canada and 2.450 in Latin America. But there is still room for further expansion and innovation in Latin America’s pet care market. Pet superstores for example are hard to find in Latin America. The most popular stores in Latin America are still the small independent pet shops. This is not odd, seen the fact that in Latin American countries like Chile and Peru the percentage of pet food prepared at home is still high (between 60% and 70%, although the percentage falls year after year), while sales of processed pet food sold through retailers grows. According to Euromonitor International forecasts for 2011, Chilean households will spend yearly US$ 90,4 on dog and cat food (at 2010 constant prices) surpassing Argentina (US$ 59,90) and Brazil (US$ 89,7). Another opportunity in the commercial pet food market is further diversification of value-added products into lower price points, like: fortified, life-stage (puppy, adult, and senior) and life-style (active pet, small-breed, and sedentary pet, diet) food products to replace standard dog and cat food in offerings in both mid-priced and economy price ranges. In this line there is even room for pet products for the upper class: ‘boutique’ food that contains no artificial colours or flavours, soy protein, or fish meal. Manufacturers could introduce breakfast, lunch and dinner meals. So the pet food market in Latin America offers plenty of opportunities for commercially prepared pet food. But don’t forget there are also plenty of other segments to introduce or to innovate: pet grooming, pet dentistry or training schools. Interested in discovering these opportunities? Please contact us for more information.